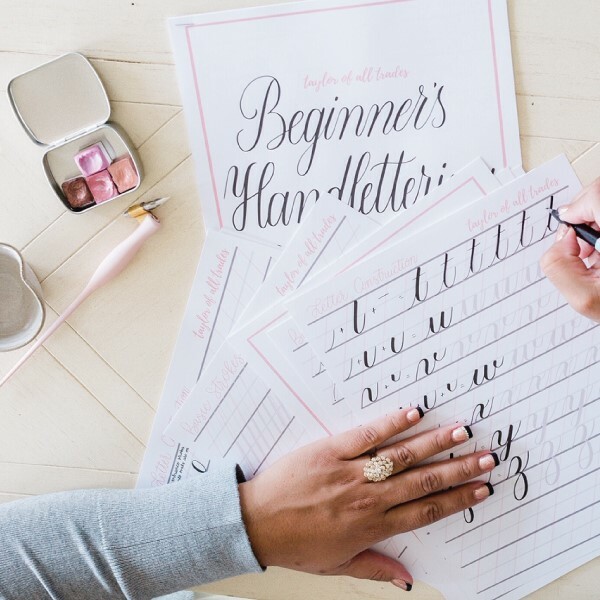 Enjoy an evening learning hand lettering with Sophie Taylor, from Taylor of All Trades! In this intimate, two hour class, you will gain an understanding of the proper techniques of hand lettering with brush pens. We’ll introduce everything from foundational lettering concepts to connecting letters. You will learn the lowercase alphabet in the Copperplate style, and how to letter twenty common sentiments. In addition, you will walk away with all the tools you need for developing your hand lettering skill.